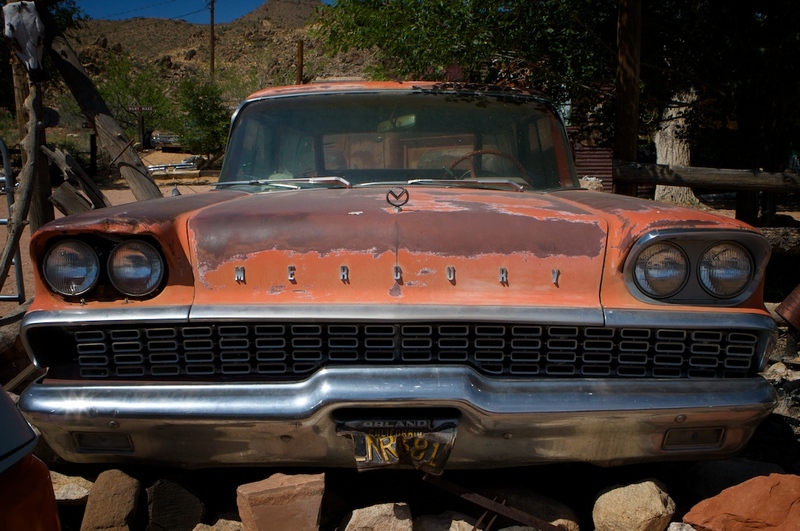 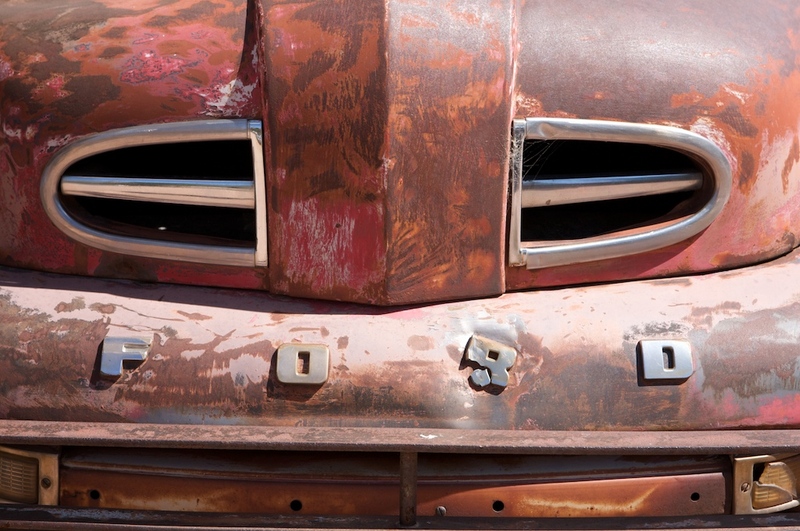 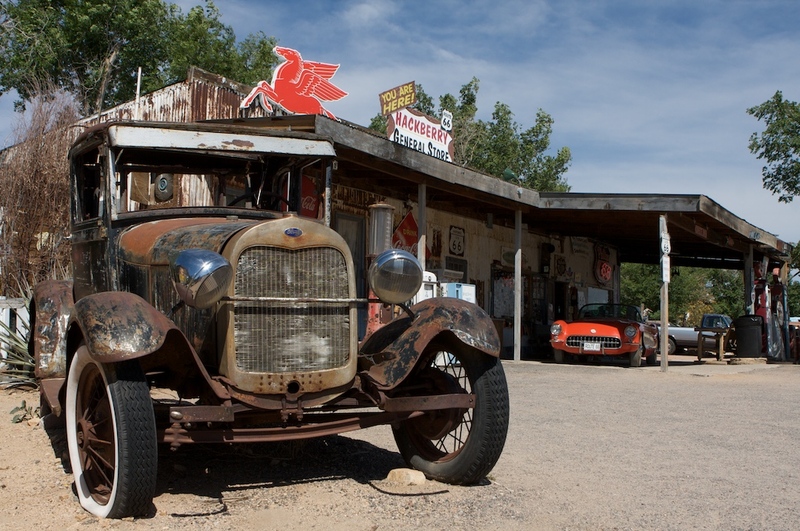 Hackberry General Store – Inspiration for "Cars" | Best Road Trip Ever! 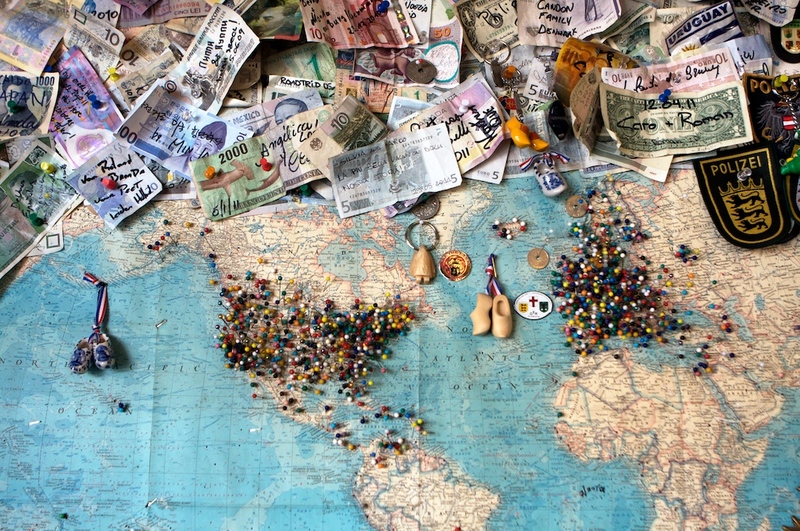 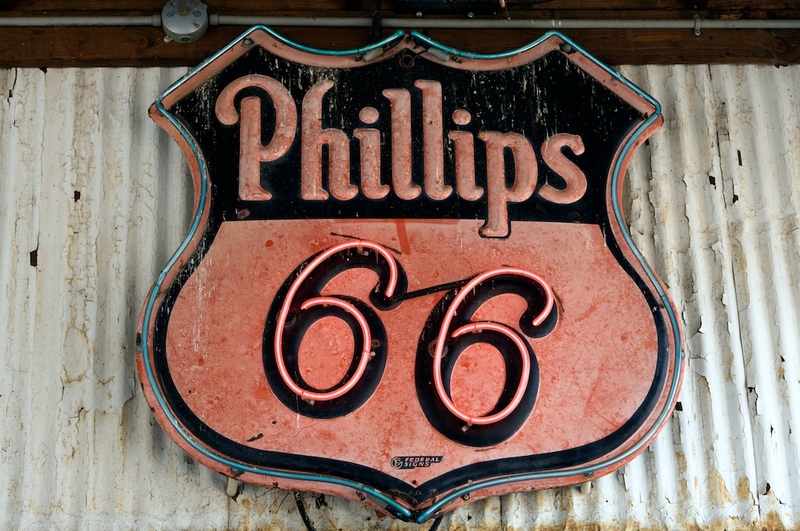 A popular stop for bikers along Route 66, as well as a true museum. 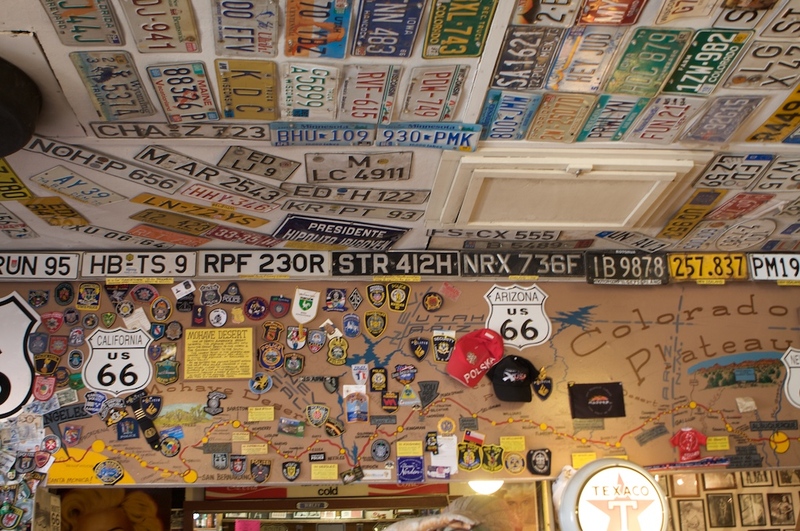 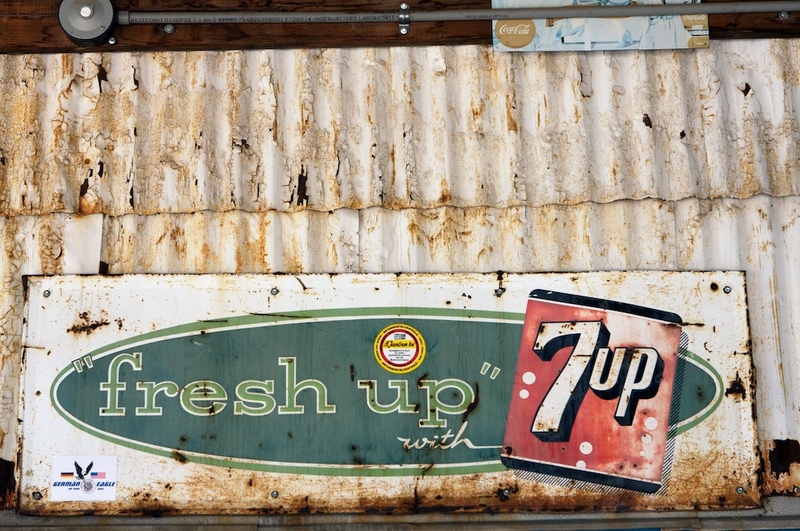 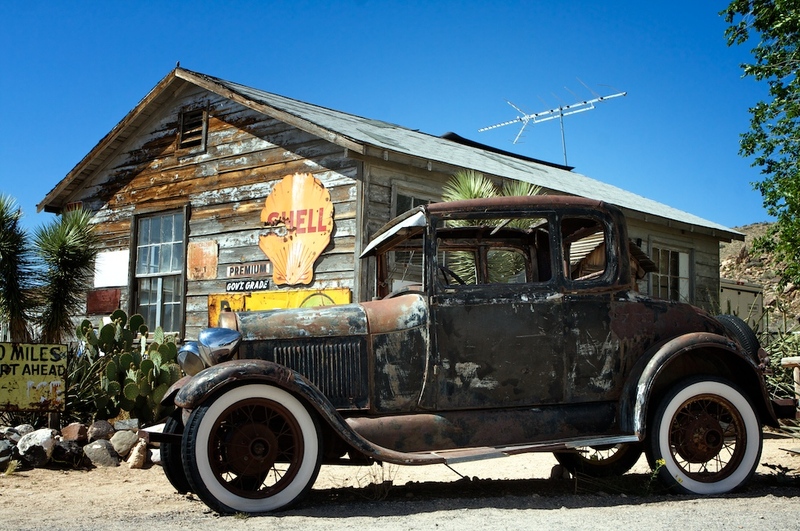 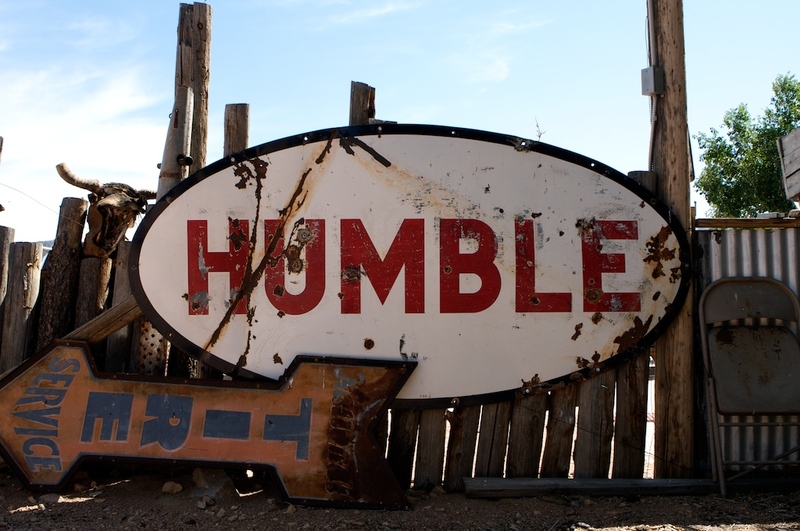 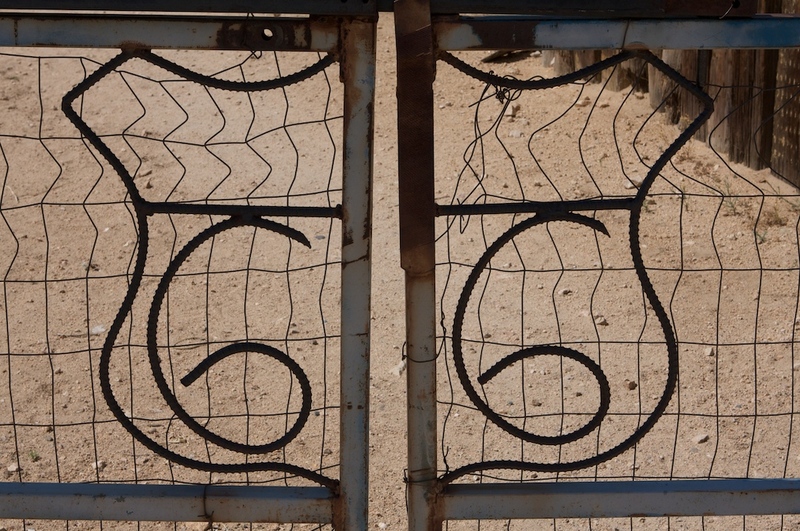 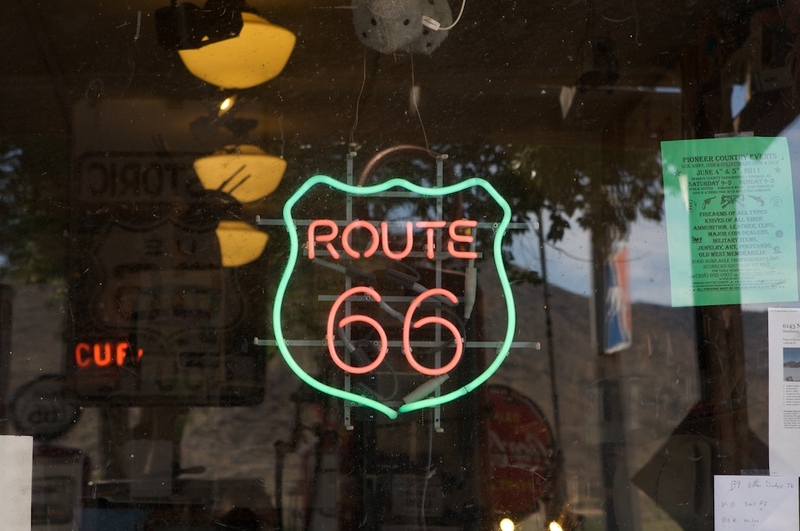 North of Kingman, AZ, this Route 66 icon is chock full of Route 66 memorabilia. 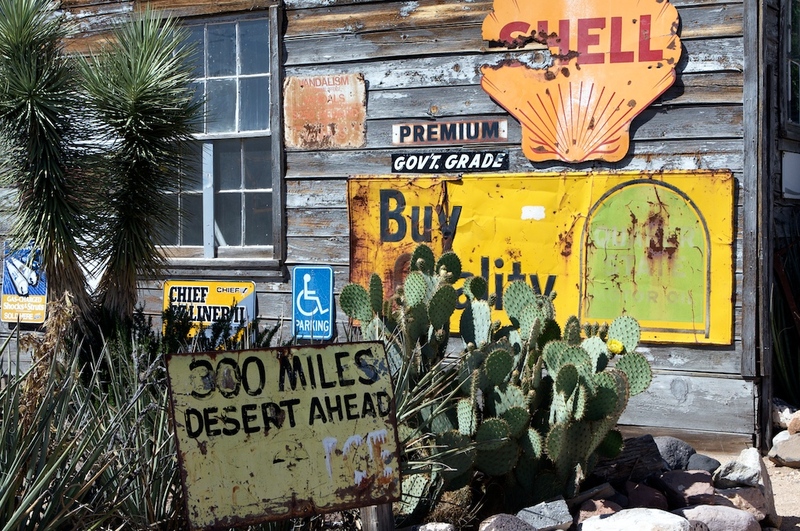 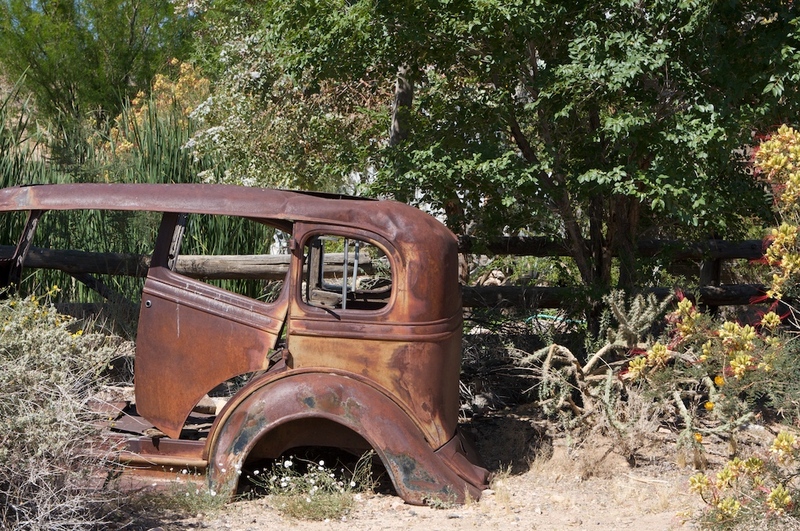 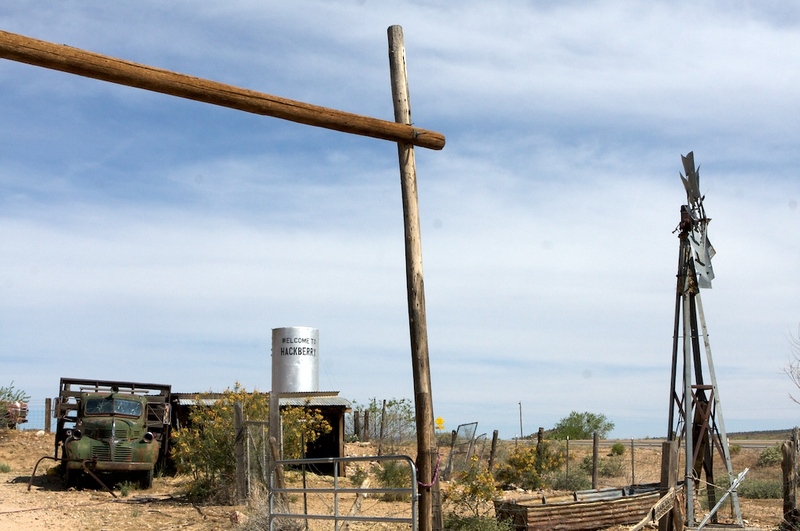 The town of Hackberry was found when prospectors discovered ore in the 1870’s. 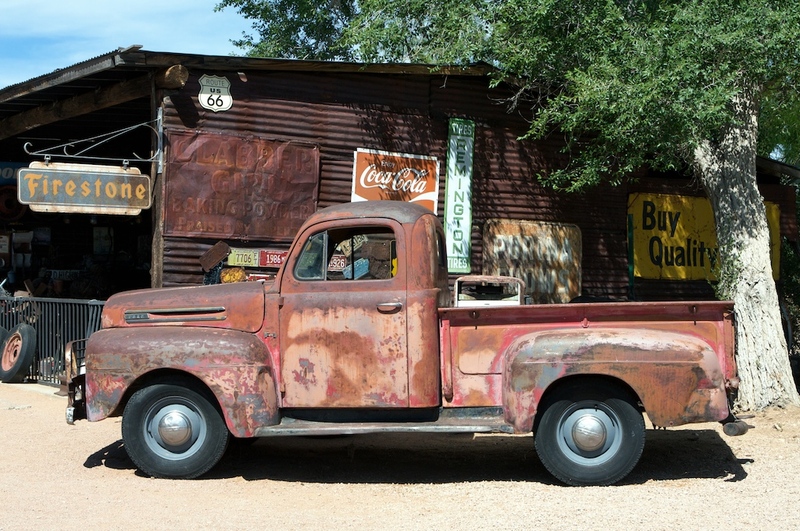 A large Hackberry tree grew by the spring, giving the town its name. 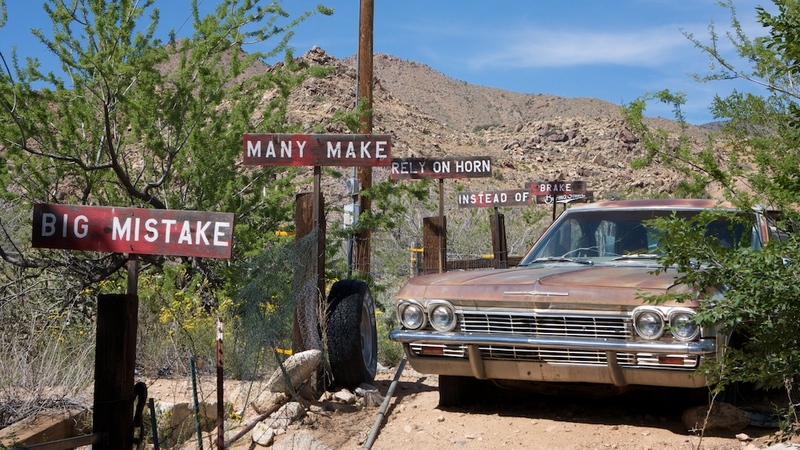 Eventually the ore was gone, but the town hung on. 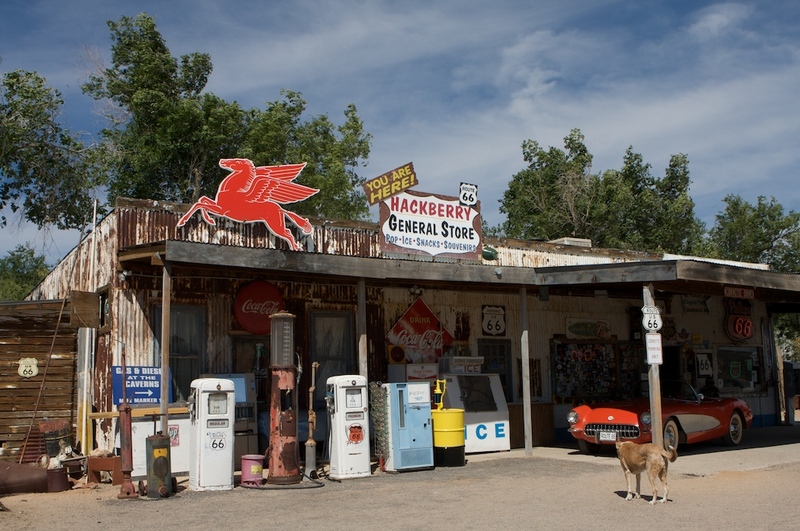 Hackberry lies across the tracks from Route 66, but you will find the Hackberry General Store on the old road. 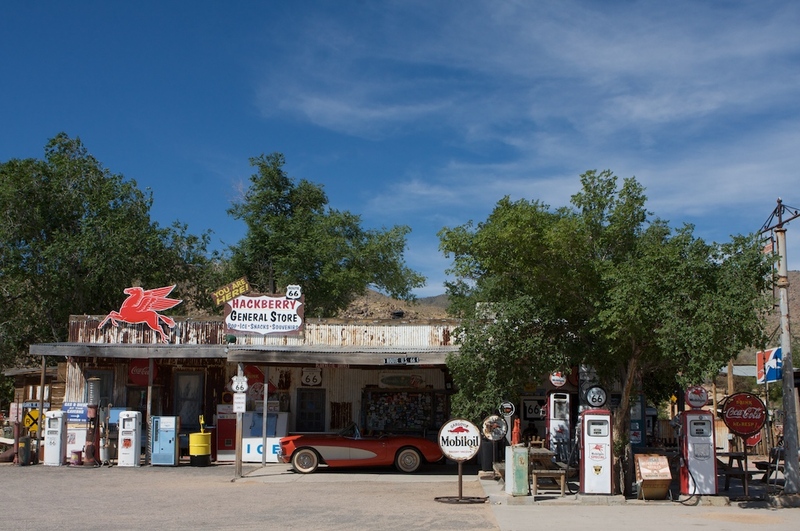 Lizzie’s Curio Shop from the Pixar movie “Cars” is chockfull of Route 66 memorabilia, and based on both the Hackberry General Store in Arizona as well as the Sandhills Curio Shop in Erick, Oklahoma.